Lough Erne sustains multiple competing activities, each with different demands from the system in terms of ecosystem services and physical resources. It is a heavily modified water body, containing a range of non-native Invasive Alien Species (IAS) are considered a threat to Lough Erne biodiversity and also negatively affect the society that surrounds it. In this report, we apply the AQUACROSS Assessment Framework to understand this challenge and identify and assess ecosystem-based management solutions to the challenge of the IAS Nutall’s pond weed. The overall goal of this study is to examine the implications of the regulation on invasive alien species for practical management in Lough Erne Co Fermanagh, Northern Ireland, within the context of existing environmental commitments under EU legislation. To understand context, we assess European and local policies managing biodiversity and related sectoral policies, e.g. agriculture. To understand the complex socio-ecological system of the Lough and its surround society, which affects and is affected by the Lough, we apply the AQUACROSS Linkage Framework and also the semi-quantitative, stakeholder-based Fuzzy Cognitive Mapping (FCM) method. The case study [pdf, 3.5 MB, English], as well as the summary [pdf, 402 KB, English], are available for download. O'Higgins, Tim et al. 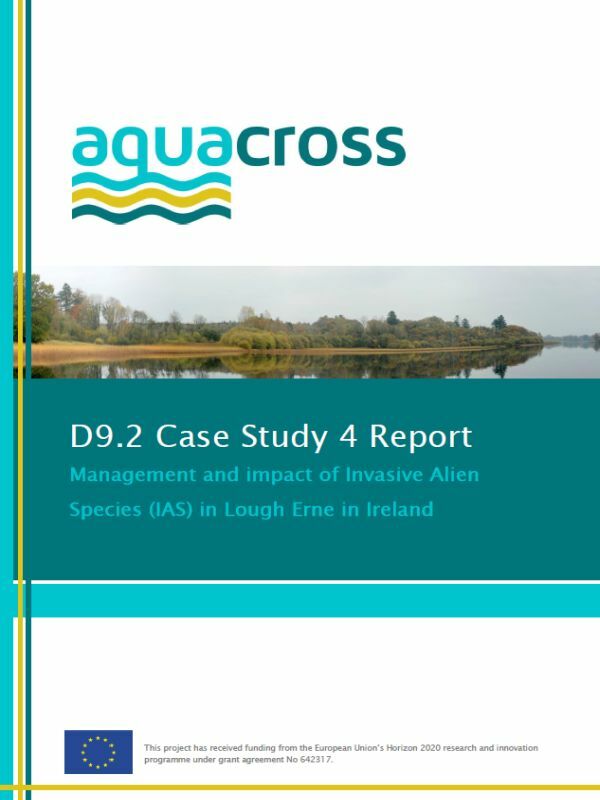 2018: Case Study 4 Report: Management and impact of Invasive Alien Species (IAS) in Lough Erne in Ireland. UCC, Ecologic Institute, IUCN, University of Liverpool: Cork, Berlin, Gland, Liverpool.